Nothing says the holidays like Chester Kidder! What better way to bring in the holiday week than with a glass (or two) of 2008 Chester Kidder Red from Long Shadows? This beauty, created by winemaker Gilles Nicault, paired beautifully with spiced flank steak, as Dave and I toasted some rare time off together at the same time. Released in September, we found ’08 Chester Kidder Red to be inky in color, balanced, silky and a rich blend of 61% Cabernet Sauvignon, 29% Syrah, 6% Petit Verdot and 4% Cabernet Franc. Long Shadows is a collection of small production wineries, which brings together internationally acclaimed winemakers to showcase the superb grapes grown in Washington State’s Columbia Valley. Gilles represents France; specifically, he made wine in the regions of Cote Du Rhone, Provence and Champagne, before moving to Washington state. 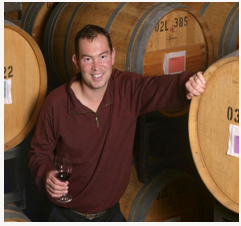 Prior to joining Allan Shoup’s state-of-the-art winemaking team, he was head of enology and production at Woodward Canyon. 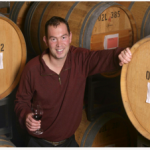 We first met Gilles after he joined Long Shadows, when he and his wife, Marie-Eve Gilla — an excellent winemaker in her own right at Forgeron Cellars — held a joint winemakers dinner at the Space Needle a few years back. They’ve both since become good friends – and we wish them, and you, a happy holiday season. And thank you, Long Shadows, for sending us samples of your most-excellent Washington state wines.